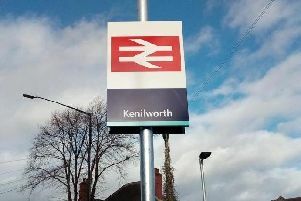 Members are being sought for a new ‘Friends of Kenilworth Station’ group to help look after the station when it opens in December. Kenilworth resident Richard Dickson is holding a meeting on Saturday September 30 at the Kenilworth Centre at 10am for anyone interested in joining. When it opens, the station will run an hourly service between Coventry and Leamington, and will be operated by West Midlands Trains. For more information on the meeting and group call Richard on 07713 594506.